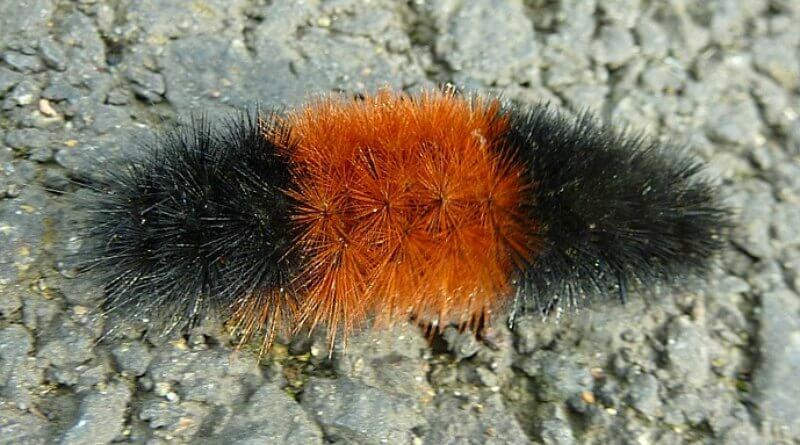 For two years so far, I have posted my predictions for the coming winter based on the folklore about the color bands on a Woolly Bear caterpillar. You can see my past predictions ( which turned out to be fairly accurate.) Here is my prediction for the winter of 2014 and here is the prediction for the winter of 2015. How do you think those predictions by the little fuzzy creatures stacked up? I think they were pretty accurate. 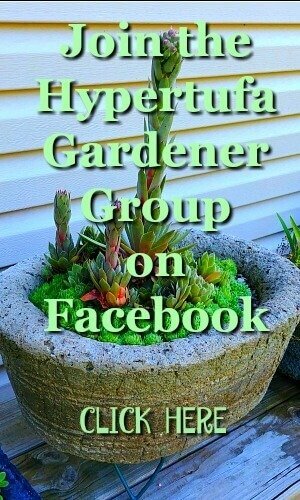 I have been working in my garden all during this fall season and I have kept an eye out for the small caterpillars. 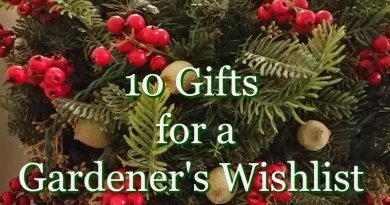 I can usually find them in my mums or inching along the wall of the garden shed. Other times I find them on the garden paths or our sidewalks surrounding the house. I usually try to keep an eye out for them in the pathway since I really don’t care for squished caterpillar between my toes. (I go barefoot a lot.) 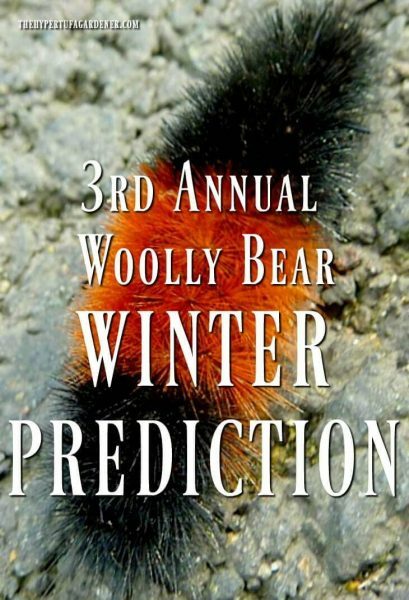 The annual festival here in Ohio predicted a colder winter with lots of snow but they must have woolly bears up north, eh? But as the weeks passed, I have not seen any of the fuzzy creatures. I thought perhaps the weather being warm late in the season affected their life cycle or some such glitch. But even when the cooler weather came, no Woolly Bears. You are probably way ahead of me but the facts are there for you to see. I have come to the sad conclusion that here in Ohio in my garden there will be NO WINTER or snow! Even though this folklore has been around since the colonial times, it has never been scientifically proven. 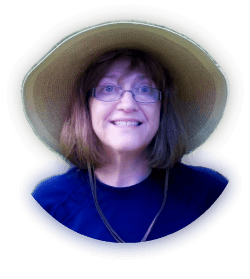 But I think since the woolly worms have decided to do a “no show” here in Ohio in my yard and garden, I am not going to have winter or snow here. I will let it get cold so that all my plants go into dormancy, but no snow. Maybe all the woolly worms have seen the election results and they have all left the country? Maybe they were Democrats? 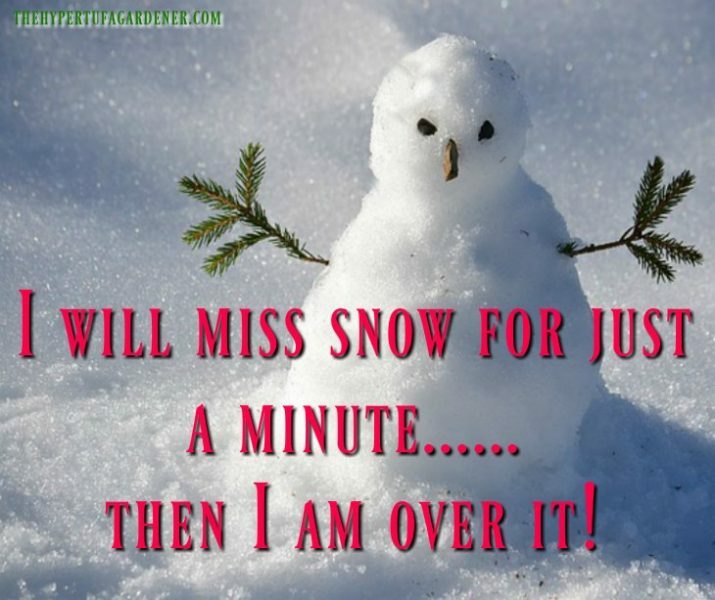 But that is fine with me as I am not a snow person at all. I won’t miss scraping windshields or porches. I won’t miss putting on boots and plodding around to my garbage and recycle containers. I won’t miss those ice and wind storms that hit when I am shopping and I have to use an ice pick to get back into the car. I won’t miss frozen windshield wipers. I will miss the glistening white beauty of waking up to a morning snow. It is so beautiful when every branch and twig is encased in a white blanket of snow and ice crystals. All the browns of autumn change to that glorious blinding white in the morning sun. The world looks clean and scrubbed and ready for a new beginning. I will miss looking up into the night sky and watching the snowflakes drifting down at me. You know that dizzy experience as you watch them floating and drifting toward you , always thinking about how it is said that no two snowflakes are alike. 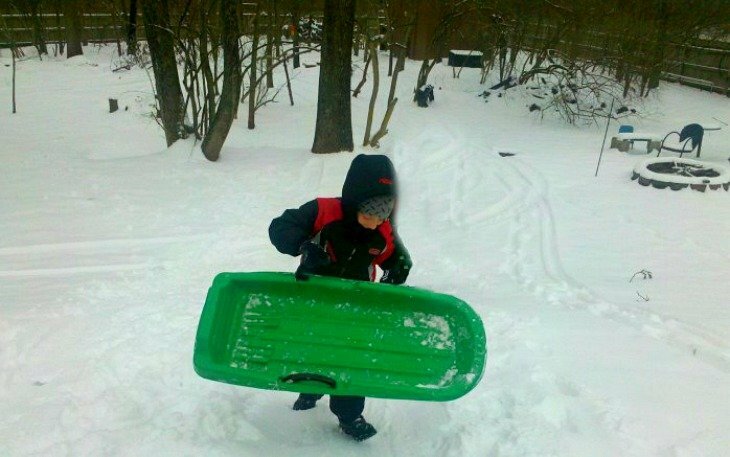 I will miss taking my grandson sledding in the deep snow. And I will miss that request for hot chocolate he always makes when we come inside all rosy-cheeked and cold. 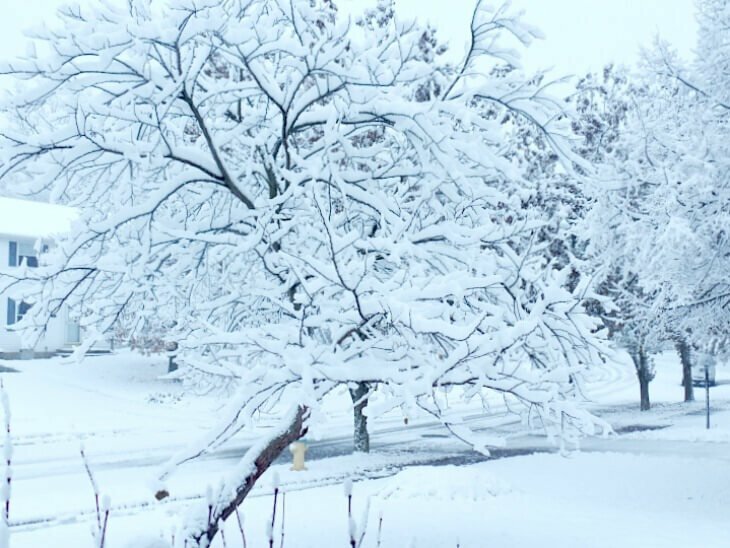 I think I will miss snow….after all. 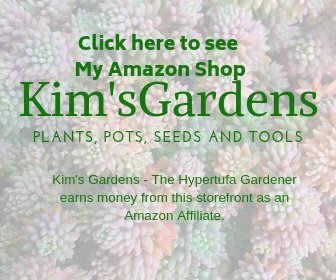 ← Schlumbergera – My Thanksgiving Cactus is Blooming! 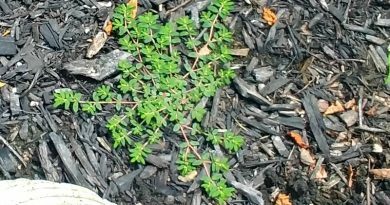 Prostrate Spurge or Spotted Spurge – What A Pain in My Pots! 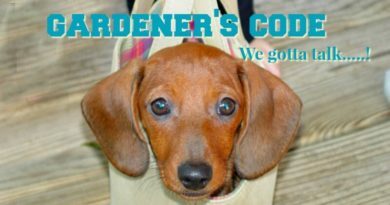 Gardener’s Code: I Can’t !